Go ahead and vote for The Hobbit in the Empire Awards! Plumb's new album, Need You Now, came out the other day! Check it out here! So the Hobbit: The Desolation of Smaug is still set for December 13, 2013 however the third installation has been moved from July of 2014, to December 17, 2014. So, yeah. It still doesn't seem real. I mean, what are you supposed to do when someone dies? There's really nothing you can do but pray their soul gets to Heaven, you know? When I heard, I was lying in bed about to get up and start my day. My little sister was telling Mom. It felt like my heart stopped for a moment. Like there was a hole in it. I wasn't especially close to him, but still. I knew him. I met him. I spoke with him. Now he's not there. I won't get to know him better. I won't be able to speak with him again. *sigh* We were all expecting it though. He wasn't healthy. But still... No one can prepare you for something like that. The a couple weeks later, my aunt's boss died. Everyone loved him. I'd met him, didn't know him well, but I liked him. He was healthy, but died of a heart attack in his sleep. 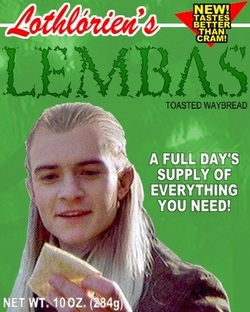 NOW FOR THE HOBBIT NEWS! Explanation for the picture up there: *points up* I thought it was funny and wanted to share it with y'all. Whoo hoo! Another birthday! Here's the Fran Walsh! She was the script writer for The Lord of the Rings and The Hobbit. She's been with Peter Jackson throughout his career since Meet the Feebles (honestly, I've never seen that or don't know what it is... *blush*)! You might have realized that I get all my news from The One Ring.net.... Heh... I don't have time to go searching all over the place for news. Sorry, guys! But here's a link from TORn on in interview with Ms. Walsh. Also, happy birthday to me! :P I am now halfway to 30 as of January 6. XD I'm old. The Hobbit Is Nominated for 3 Oscars! Congrats, Hobbit cast and crew!! According to The One Ring, we have news that Christopher Tolkien, J.R.R.Tolkien's son, will not give out more permission for any more of his father's works to be turned into films. I'm not complaining. He has all the rights in the world to not give out permission. I don't know his reason behind his decision, but I respect it. I am a huge Tolkien fan (as y'all already know) and would definitely like to see the Silmarillion or The Children of Hurin on T.V. but I'm not going to complain or rage about Christopher's decision. It's his to make. We have to respect that. My friend and I stayed up last night watching Merlin. She pulled off an all nighter while I only made it till 3:30 a.m. Sorry, guys. I'm a wimp. :P Anyways, I hope you have a wonderful, blessed year! Make good decisions. Be healthy. Praise the Lord! 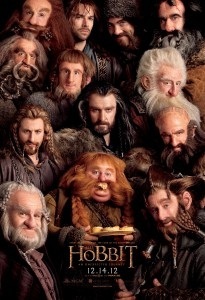 The Hobbit: Part II: Desolation of Smaug -- Teasers Showing As Soon As Soon As January 4? BEFORE YOU GET YOUR HOPES UP: December 28 is known as a sort of April Fools Day for the Spanish (and this came from a Spanish website). So don't get your hopes up, peeps. Also, Peter Jackson says he expects to get the trailer up by the middle of next year. Peter Jackson: Martin was the only person we ever wanted for that role. And that was before we ever really met Martin – we knew him from “The Office” and “Hitchhikers Guide” and we just felt he had qualities that would be perfect for Bilbo. That essential kind of fussy, English, slightly repressed quality. He’s a dramatic actor, he’s not a comedian, but he’s a dramatic actor who has a very rare comedic skill. … With the delays that happened, we couldn’t offer the role to anybody contractually. And by the time we were able to offer Martin the role, he had committed to the “Sherlock” TV series. And he shot the first season, but the second season of “Sherlock” was going to fall right into the middle of our shoot so he said “Listen, I can’t do it.” So we were in trouble. I was really panicking, we all were. … We literally couldn’t think of anyone else we thought would be as good as Martin. I was having sleepless nights. We were probably about six weeks away from the beginning of the shoot and still hadn’t settled on anyone else. I was tormenting myself by watching “Sherlock” on an iPad at 4 o’clock in the morning. The second episode of the first season had just come out in iTunes and I downloaded it – because I love the show – and I was sitting there looking at Martin and thinking “there is nobody better, this is insane.” When I got up that morning I called Martin’s agent in London and I asked if we could find a way to accommodate Martin’s schedule would Martin be prepared to still come down to New Zealand to do Bilbo? And fortunately the answer was yes, he’d love that. Philippa: If we hadn’t made the “Lord of the Rings first, if this wasn’t set against that, this probably would have been a very different story. But we had. The Gandalf turning up in these films was the Gandalf portrayed in “Lord of the Rings,” but if we wanted to tell that part of Gandalf’s story, we got to bring in people as Saruman and the brilliant Cate Blanchett coming back as Galadriel. So, as soon as we knew we would tell that part of the tale, what happens when Gandalf disappears – because we know what happens when Gandalf disappears because Professor Tolkien kept writing the Hobbit – and we made that decision to tell that part of the tale, you start to draw in that bigger mythology that this is set against. Also, when we began to go in there… it’s so easy to forget the depth that is in the story telling and how dark this children’s book turns at the end. It doesn’t end with Smaug, when it should end, when any normal children’s story ends, and kids love it. I know I loved it when I read it, because it was unusual, it took you further. There were strong elements of tragedy in there, revolving around a particular character, Thorin. They’re extraordinary and when you go into the appendices you realize how extraordinary and what has been placed on him. It wasn’t hard to see what’s in there. One of the things that’s in there is greed. So as soon as you start taking on the notion of “how much wealth is too much wealth?” and “how much gold is too much gold? “ Something that is literally a sickness of the mind, a sickness of too much wealth. The other thing is, you start to work with great actors, and great actors come to you because of the material. If you give them slight material you’re just not going to get them and we wanted to write for some of these incredible actors that we had. Philippa: You do feel the weight of it, the lack of feminine energy. And it’s interesting because Professor Tolkien actually wrote brilliantly for women. He had a real respect for women. The most powerful being in Middle Earth at this time as he wrote was Galadriel. And so, we have her story as it develops, as he wrote it. It informs “The Hobbit” – it’s actually quite powerful and it’s going to get good for the girls, I think. He wrote “The Hobbit” in 1937 and then the “Lord of the Rings” came out in the 1950s – which was supposedly supposed to be a sequel to “The Hobbit” but obviously developed and expanded into something much much more apocalyptic and the tone was different. So they talk about the White Council and the Necromancer, and she’s part of the White Council and they refer to the attack on Dol Guldur, and it’s that type of plot that we’re developing. So, it’s still part of the Tolkien myth. Peter: The levels of detail in the movie are similar to “Lord of the Rings.” With the high definition cameras you see more, so you may have the sense of more detail but fortunately the team that we have in New Zealand, WETA Workshop, who design a lot of the makeup and effects, and our wardrobe department, our art department – we’ve always wanted to put a lot of detail, and a lot of details that never get seen by the cameras. To me, fantasy should be as real as possible. I don’t subscribe to the notion that because it’s fantastical it should be unrealistic. I think you have to have a sense of belief in the world that you’re going into, and the levels of detail are very important. Peter: I guess I thought I wouldn’t enjoy it is the truth, because I thought I would be competing against myself to some degree ,and that it would be interesting to have another director. …. Guillermo Del Toro was involved for a while, for over a year probably, but after he left because of the delays, it was still another six months or so before we had a green light and during that length of time I just thought, well I am actually enjoying this a lot more. I came to realize there’s a lot of charm and humor in “The Hobbit” that the “Lord of the Rings” didn’t have. And I thought that returning to Middle Earth with a entirely different story and a different tone – I thought “this is not the Lord of the Rings” and I’m not going to try to make another film that’s exactly like that. This gives me an opportunity to do something a little different. … and the first day of shooting I was incredibly happy I was there. It was a great deal of fun to shoot. Peter: Well, one expanded, the stone giants – that’s like a paragraph in the book when they’re going through the Misty Mountains and Tolkien refers to a thunderstorm created by this fight between giants. He doesn’t really dwell on it particularly, so those sorts of things were fun, a visual scene out of the book that we could develop and expand on. So, we did sort of expand it … the Goblin tunnels? Philippa: I love Azog, Azog the Defiler. Because we just loved that name and he is a character that we just loved that back story and thought we can’t have him be dead, we’re going to keep him alive. So we enjoyed that… bringing him back. And I think we do that quite powerfully, he’s got a good journey to go on. Peter: This is what made the film enjoyable for me, being able to connect little pieces from “Lord of the Rings” to “The Hobbit.” There was a scene in the “Fellowship of the Ring” when they’re stuck in the crossroads in Moria, and there’s a quiet moment between Gandalf and Frodo… and he’s talking about the events in “The Hobbit,” that the pity of Bilbo rules the fate of us all. Meaning that Bilbo had a chance to kill Gollum but he didn’t. And the fact that he didn’t is now directing the story, it’s now created the story of the “Lord of the Rings” – for good or for bad. So it was really interesting to twelve years after we shot that scene originally to come back and actually show the moment where Bilbo stays his hand. And also, the reason why he doesn’t kill Gollum at that stage when he’s got the opportunity, when he’s invisible and standing over Gollum … and Gandalf had said to him that true courage is deciding when not to kill rather than to kill. So, completing those little loops and circles was one of the really interesting things whilst you’re dealing with a different story, a different tone. And if we had shot the films in a different order, we might not have been able to do that as effectively. Because really, once these movies are done and have had their theatrical life, we’re really looking at a six movie set – which is the way it will exist from that point on. And so I’m very conscious and wanting to make it feel like an organic story with synergy. It wouldn’t have been that easy if we’d shot “The Hobbit” first, because it is such a different tone of a book. We might have just leapt into that much more fairy-tale tone, which would have made the “Lord of the Rings” a much more difficult adaptation in a way, because it would have been hard for the two to talk to each other. Philippa: That’s really simple actually. When we were writing it we understood – writing backwards – how much the audience needs to care about this character. In a way it’s almost his story – a lot of it is his story. When we were tackling this character – because he’s much older in the book – it becomes very hard to invest in a character that you want to reclaim a homeland and rebuild a city when he’s in his eighties. So when we were looking, when we began the casting process, we were looking between 45, 55. Someone who had life left in him, who could be that heroic character, who could be a great fighter. Again, harder to do with a character who, as Professor Tolkien wrote him, was an old warrior. So we made that decision that we were going to go younger, and then from that point in terms of Richard Armitage, he was the youngest actor to audition for that role. It had nothing to do with the fact that he is gorgeous (laughs), it had to do with the fact that he did a phenomenal audition and the notion that you had this dark conflicted character, but was also quite grunty, Northern, English – like a dwarf. Strangely enough, he’s six foot four, but he’s still a dwarf. He had that whole thing of being miner, of that grittiness, gruntiness, but who probably plays a good game of rugby, which felt as Professor Tolkien described the dwarves. Peter: It didn’t change my style of directing, I didn’t want it to. And that was the beauty. I didn’t want to convert it, we wanted to shoot it in 3D. I think that is much more realistic. Fortunately we had great support from the companies who worked with us (on the cameras and rigs) and they made the equipment as light and as small as they possibly could. The rigs were originally made in steel, yet they made them for us out of carbon fiber so that we could put them on steady cams and use hand held cameras. Because I really wanted to be the same filmmaker going back into Middle Earth. I didn’t want to, because it was 3D, to shoot it in a different style. I don’t believe in the concept that 3D should be shot differently. Every director has his own style, sure, but I don’t think that any of that is an issue with 3D. For me it was important to not even worry about 3D and I didn’t, I didn’t even think about it half the time. I was just directing as I would normally do and the cameras could do what they normally do. For me it was a comfortable experience. Joe: There’s one case where it did matter, though. Back with the “Lord of the Rings,” we could do force-perspective tricks – bring Gandalf closer to the camera and put Frodo farther away, and one could look bigger and one could look smaller. When you put the glasses on you realize how far apart they are, that trick no longer works. So we came up with this idea – especially because we wanted to keep the cameras moving – to actually synchronize two cameras together on two separate stages. So Gandalf was on one stage, the dwarves on another stage and Peter can see them both in his monitor together and direct both of them. But they both had to keep in their heads where the other virtual person was going to be that was wandering through Bag End. You’ll see in the film, if you haven’t seen already, that there’s a minute-long shot of them walking through each other and handing things off – that was all done by the actors for the large part, just having to keep in their heads where each other was in this very cool space. Peter: It’s not really a question for me because it’s a studio issue because they would have to pay for it and it’s expensive. So, I’d be happy to do it if they decide, but that’s really a marketplace thing. I think the whole idea of dimensioning older films is something that the studios are still unsure of. I know that Jim did it on “Titanic’ and it was very successful, and then George Lucas did it with “Star Wars” and it was not so successful financially. So, I think the studios are not quite sure at the moment where that market is going to finally land. I guess as time goes on and 3D establishes itself more in people’s homes and the cost of conversion comes down, I think things have to move on but at the moment it’s not being discussed. ALRIGHT, FOLKS! STEP RIGHT UP! THIS IS YOUR DAY TO BE HEARD! I WANT TO HEAR YOUR OPINION ON THE HOBBIT!!! Was there anything you were disappointed in? What version did you watch it in (3D 48 fps, 3D 28 fps, 2D 28 fps)? Who was (were) your favorite character(s)? How do you think the actors did? Oh, I enjoyed the beginning! I loved the songs the dwarves sang. Seeing everyone again was amazing! Yes. I found that the goblins and wolves were less realistic than they were 10 years ago. And I didn't like seeing Bilbo covered in troll snot. I didn't enjoy the Goblin King's "beard" thing. That was gross. All of the good guys! I'm Aerli! Want to know more? Click here! I got a new haircut!!! See it below! Yes, yes, yes. Haircolor: natural. I just want to say thank you to all of you who helped create, and gave your time to the Lord of the Rings and who are giving your time to The Hobbit.